The covetous little raccoon gripping a Sticky Cinnamon Bun says it all as the logo for Washington’s all-vegan Sticky Fingers Bakery. And anyone who’s tasted one of their best-sellers, like the vanilla cream-filled chocolate Little Devils cakes or oatmeal Cowvin Cookies, knows why the sly raccoon’s so covetous. After moving to Washington, DC, Doron Greenblatt Petersan—a longtime animal activist and vegan with a discerning sweet tooth—decided, once and for all, to do something about the lack of rich and satisfying desserts for those who eschew animal products. Utilizing her years of experience working in the food service industry, as well as her degree in dietetics, a bakery was born. As fate would have it, Kirsten Rosenberg, former Managing Editor of the recently defunct Animals’ Agenda magazine, had also relocated to the nation’s capital. When Doron and Kirsten crossed paths as a result of their animal work, they immediately realized they shared, among other things, a firm belief that veganism could and should be both enticing and fun! In no time, Kirsten was hooked on Sticky Fingers products and had no choice but to accept Doron’s offer to become her bakery partner. Now, with Doron overseeing operations and Kirsten handling marketing and administrative affairs, Sticky Fingers Bakery is the place to go for unbeatably satisfying sweets that contain no animal products and all of the great taste! Satya had a chance to chat with the ladies behind the vegan goodies. Why did you make the decision to go vegan? Doron Petersan: I was working as a vet tech and one day I couldn’t eat my turkey sandwich. I started to learn about what it meant to be vegetarian and all of the issues involved. I did an internship that summer for PETA where I became vegan. Kirsten Rosenberg: After becoming vegetarian as a kid, I decided to go vegan in 1994 after seeing a graphic photo of a veal calf’s severed head. It really struck me—how eating dairy truly does cause suffering and death, not only for the dairy cows but for their offspring, as well. KR: It’s important to keep it fun because running a bakery—not to mention a vegan one—is a stressful job. The biggest thing I get a tickle out of is when regular customers come in after the third or fourth visit after realizing the stuff is vegan and proclaim, “This stuff is vegan?! Wow, I had no idea—it doesn’t taste any different.” Yeeesss! I love that! Which are your most popular items? KR: Our Sticky Cinnamon Buns, Little Devils cakes, Cowvin Cookies, chocolate chip cookies; those are the most popular items. DP: And our array of birthday cakes. Any new creations you want to tell us about? KR: We’re always doing new stuff. We’ve got Peanut Butter Cookies right now. We’re always adding different cakes, we do a cake of the month thing—we were doing Black Forest for a while; we do a Smores Cake. We do little Raspberry Linzer Tart Cookies and something called Apple Ravioli, which are little apple pie bites but they look like apple ravioli—those are very popular when we make them. DP: My favorites right now are the blueberry muffins and the peanut butter fudge brownies. I have crumbs on my shirt right now! KR: Oh, I really cycle through phases. Like right now, I’m kind of on a Little Devil trip. But the week before, it was chocolate-dipped almond biscotti. I couldn’t get enough of those in my mouth. [Laughter.] Oh, oh, oh—how could I forget?! What is always among my favorites: we serve vegan soft-serve! KR: You can get it in a cone, you can do a sundae, we have nondairy whipped topping and cherries and chocolate sauce and nuts and sprinkles and cookie bits… It’s to die for. How long has Sticky Fingers been in business, and what prompted you to start the company? DP: We have been at this location since October 2002. I started baking when I was in school for my degree in dietetics. Food science and food service classes were part of the requirements—and were my favorite. I learned that vegan baking was possible, and I started experimenting from there. After making a few things for parties and birthdays, I found a bakery that would let me rent time to make my goodies. That bakery went out of business and is now the site of our store. KR: After tasting Doron’s unbelievably delicious treats, I jumped at the invitation to join her in this endeavor. Plus, how else could I ensure a steady supply of this stuff for myself?! Have you had many surprises along the way of developing your business? DP: Of course! Everything has been a surprise—how quickly it has grown, how responsive people are, how tough it is, how exciting it is, how difficult it was to actually start a business in DC, how quickly we go through 100 pounds of sugar, and how rewarding it is. KR: Aside from being a vegan business, we face the same struggles that any small start-up company does. But one of the most interesting things I’ve learned about our customers is how many people come to us because of food allergies to dairy and eggs. DP: My husband. His dedication to his career in helping animals never fades. I look to him for support and inspiration, especially on those days when it all seems too much. He helps me to remember that this is all for a bigger cause, and it’s not only about making sweets. It’s about making more vegan products available and palatable for vegans and non-veg alike, in hopes of ending animal suffering. KR: I don’t have a background in baking or even business, but I am motivated to promote veganism (oh—and eat lots of sweets!). That’s why I’m involved with Sticky Fingers Bakery. And, of course, the animals are an eternal inspiration. Do you think attitudes toward vegan products—and vegetarianism—are changing? DP: Absolutely! We see it every day with non-vegans or non-vegetarians coming in because they just plain like our stuff. They don’t care what title it falls under, they just like it. And many like our goodies for the health aspects: free from cholesterol, we use non-hydrogenated shortening and oils, heart-healthy soy, and made with love! 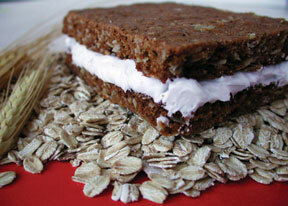 We’ve come a long way since the sand cookies that passed for vegan sweets of yesteryear. What are your thoughts on the current state of vegan desserts? KR: I think things are better, generally, than they were five years ago. I still think, and of course everyone will perceive this as biased, I still think our stuff is far and away the best vegan sweets out there because it really tastes virtually indistinguishable from the traditional animal-based counterparts. What are some of the ingredients you use to make your goodies? Do you make an effort to use organic or fair trade ingredients? KR: We make an effort to use as much as we can. We use some organic ingredients, we’re particularly picky about using organic produce. And we serve fair trade coffee in the bakery. And we’re definitely moving more in that direction. When we first started up, the idea was to really mainstream veganism and to keep it as affordable as possible. So we were doing just straight vegan substitutions for other ingredients at that point. But we don’t want to be doing right by the animals at the expense of other people out there, so we have been moving in that direction. What’s this I hear about a Sticky Fingers bakery opening up in Korea? KR: It is true. It sounds crazy, I know, but we’re going to be the first vegan bakery over in Seoul. Basically, a documentary was made for Korean TV about Miyun Park, the former President of Compassion Over Killing. We were featured briefly in it because they shadowed Miyun when she came to the bakery. Some business people in Korea saw us and thought it was the greatest idea and they contacted us. They sent us a letter and an email. This is the age when you receive a lot of emails from people in foreign countries saying they’ve got a great business deal for you… Well, long story short, it turns out it was the real deal. They ended up acquiring the licensing rights to open up over there, they have our logo, our recipes, and training from us—their two head bakers have already been here for on-site training in the Sticky Fingers shop for three weeks. We’re very excited about this venture and the store’s supposed to open some time in November. KR: I still don’t totally get it. Especially because, from what I understand, sweets are not that popular over there. But they think it’s a great idea and they love our products. I couldn’t be happier about it. So the first spin-off bakery is opening in Seoul, what about Brooklyn or Los Angeles? KR: Those cities are high on the list of places to consider. Absolutely. We’ve always envisioned expansion for the bakery. And we’re in that phase now, where we’re plotting out our next steps. We’re still formulating what form exactly. But we’ve always wanted to grow this into something, to really mainstream it, to become a very well-known brand that you can find all over the country. DP: We want to make this store successful and ultimately create a line of packaged products for mass distribution. Today the coffee shops, tomorrow the international market! Sticky Fingers Bakery is located at 1904 18th Street, NW, Washington, DC. Their products are also available in select DC-area restaurants. 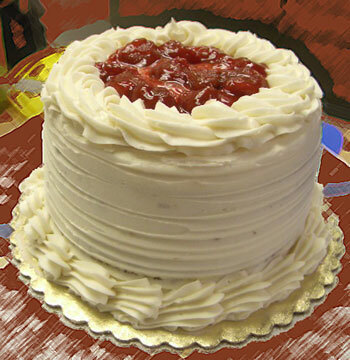 To learn more or order goodies online, contact www.stickyfingersbakery.com or (202) 299-9700. Chocolate is a serious addiction for many of us and getting your fix without compromising your ethics can sometimes be a challenge. As vegans we should recognize that blood, sweat and tears are also animal products and incorporate these concerns in our consumption choices. Luckily, many companies are not only offering yummy dairy-free varieties of chocolate, but are also using fair trade certified cocoa, ensuring no humans were harmed or exploited in the making of their products.—S.I. Dagoba Chocolates offers fair trade decadent organic dark chocolate bars, and on cold winter nights you can also snuggle with a cup of their xocolatl hot chocolate mixed with chilies, cinnamon, and love. Shaman Organic Chocolates are high on the list of Satya’s new favorite tastes of vegan. These fair trade dark chocolates (plain, or with raspberries or coconut) are not bitter like most dark chocolates and really delightful. They are creamy and crunchy. Be careful, they melt in your mouth—and in your hands. The best part is that all the profits help support Huichol Indians in Central Mexico—one more way these chocolates make you feel good. The Endangered Species Chocolate Company’s nondairy varieties include their Tiger, Rainforest, Grizzly, Chimp, Wolf, Sea Turtle, Bat, and Black Panther bars as well as their Dark Chocolate Bug Bites and Chimp Mints. The cranberries and almond Wolf bar is simply a divine combination of flavors. If you like coffee, the Tiger espresso bar a.k.a. “Cat Clyne’s favorite chocolate in the world” is mind-blowing with finely ground espresso beans in every bite. These are shade-grown fairly traded goodies that support groups protecting endangered species. 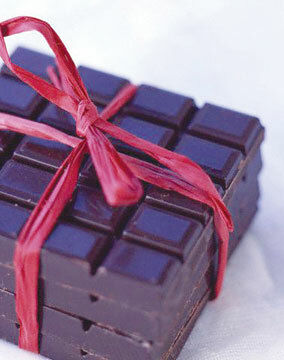 Yachana Gourmet’s Jungle Chocolates offer something new and exciting from and for the Amazon. Mixing shade grown cacao beans with a touch of sugar cane syrup and special extras like nuts, coffee and fruit, Jungle Chocolates make a crunchy, vegan snack that’s great for the outdoors. Yachana Gourmet is both socially and ecologically conscious, supporting conservation and small-scale farming communities in the Ecuadorian Amazon.